The Badlands Motor Speedway, a race car track in South Dakota that can seat up to 9,000 fans, is “one of the nicest, most modern and high-tech dirt tracks in the United States,” if the Badlands Motor Speedway may say so itself. Though current speedway owner Chuck Brennan describes his racing and concert venue in glowing terms, as not only a lovely race track but a “legendary gathering point,” he insists that he requires funds from a completely different industry to keep it going: payday lending. The track operated in South Dakota for 61 years as the Hunset Speedway until its former owners sold the track to Brennan, a payday loan magnate, in 2015. Now it is Brennan who will be putting the race track up for sale because of a new cap on payday lending interest rates that South Dakota voters overwhelmingly approved in the November election. “Because of these recent events, Mr. Brennan is reevaluating his economic presence in South Dakota and will be selling several of his many properties and businesses in the State and diverting that business to the other markets that he currently operates in,” the company website posted yesterday. Payday loan companies -- or predatory lending companies, as critics of the industry describe them -- sell short-term, unsecured loans to practically anyone, no credit check or checking account required. But what customers desperate for the quick cash often do not realize when they accept the loan is that they will be on the hook for amounts much steeper than the original debt. In its defense, the industry says that it loans money to people who would otherwise not be able to find a loan because of poor credit scores or lack of a financial history. Critics say that while that may be true, the true cost of a payday loan is so high that many borrowers are unable to pay it off and must keep refinancing at exorbitant rates. In South Dakota, payday lenders typically charge customers an annual interest rate of 574 percent, one of the highest average annual interest rates in the country. It's not just payday lenders who enjoy South Dakota's liberal banking laws. Citibank relocated its credit card business to the state in the 1970s and many other credit card issuers followed. While many state usury laws capped interest rates at 10 percent, South Dakota removed all interest caps. That may finally be changing. An initiative introduced by a conservative pastor in the state and an openly gay former campaign manager for President Obama -- a pair that once fought each other on Twitter before forming a political partnership that Atlantic magazine described as the ultimate odd couple -- aimed to bring interest rates under control. Together, Sioux Falls coffee shop owner Steven Hickey and pastor Steven Hildebrand crafted Measure 21, a measure that caps payday loan interest rates in the state at 36 percent. The road to letting voters decide on the measure was not easy. Payday companies lobbied heavily; one lawmaker even tried to increase the amount of signatures required to get a measure on the ballot. Hickey and Hildebrand got their measure on the ballot anyway but were heavily outspent. The opposition campaign urging voters to reject Measure 21 raised over $1 million, dwarfing the $70,746.57 raised by South Dakotans for Responsible Lending, the group that championed the measure. Brennan threatened to cancel an annual music festival last year, but voters were undeterred. On November 8, voters passed Measure 21 by 75 percent. “We are thrilled that the people of South Dakota stood up and said ‘enough’ to the predatory lenders who have been trapping hardworking families in debt at 574% interest rates,” the coalition supporting Measure 21 said in a news release. They added that they plan to do more work in the state to clamp down on payday lenders. Chuck Brannon, whose flagship business in South Dakota is the Dollar Loan Center, announced yesterday that he is selling the popular race track he owns because of the vote. He claims that the measure has killed hundreds of jobs and will essentially eliminate the short term lending business from the state. “Mr. Brennan has invested and donated well over $100,000,000 in his home state of South Dakota and most of that investment within a mile of where he grew up at 8th Street and Covell Avenue in Sioux Falls,” his release says. In an interview with the local newspaper, race car drivers said they were saddened by the news. But, they added, the sport seemed to be suffering financially regardless, long before the new payday regulations went into effect. "Not a lot of fans come to support it anymore," one race car driver reportedly said. 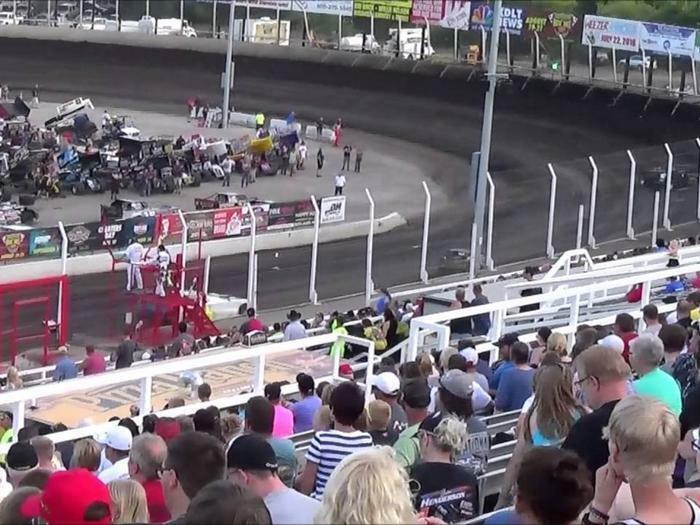 "Every driver involved in the sport kind of has an idea of where local racing is going. It's a bummer to see another track go." Are there alternatives for payday loan borrowers?